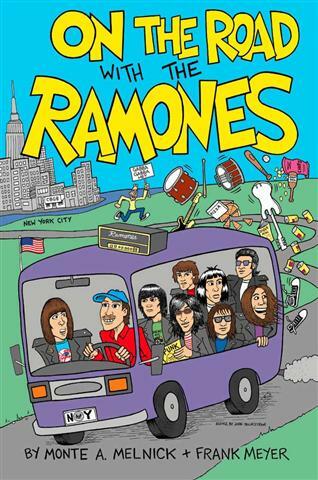 New RAMONES book out now!! "pt boat on the way to havana, i used to make a living man picking the banana..."
We're almost done reading this. A review will follow. For now, read an excerpt, then get the book. Send us a review and we'll publish it! Gabba Gabba! When I sat down to write about the album’s opening song, "Blitzkrieg Bop," my first line was "This is the best opening song to any rock album." Then I decided that sounded too creepily fanatic and more than a little disingenuous, since I haven't heard every rock album ever made, and I took it out. But then I went downstairs to the turntable and played it and midway through ran back upstairs and put the line back in even before the screensaver clicked in. Here’s why: "Blitzkrieg Bop" succeeds not only as a song in its own right, but also as a promise kept. The songs that follow live up to the speed, humor, menace, absurdity, and mystery of that first song, whose opening lines "Hey ho, let's go" offer not so much a warning as an invitation to the listener, an invitation and a threat that the song isn’t a fluke or a one-off, but that it sets the stage for an entire album that will be fast and loud. Nicholas Rombes is an associate professor of English at the University of Detroit Mercy, where he teaches and writes about film, music, and pop culture. His writing has appeared in a range of publications, including Exquisite Corpse and McSweeney’s online. 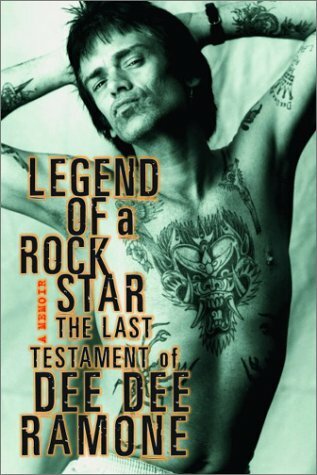 He is also the editor of the forthcoming book New Punk Cinema. Contributed to the site by "Ziggy Ramone"
"On The Road with the Ramones" - As the band's tour manger from their CBGB debut on 16 August 1974 to their final show in Los Angeles on 6 August 1996, Monte A. Melnick saw it all: the arrests, the ODs, the fights, the breakups, the make-ups, the girlfriends, the hotels and the binges. Monte was indeed the fifth Ramone (or 9th?). On The Road With The Ramones is his story in his words. The book is out- A Must Read! 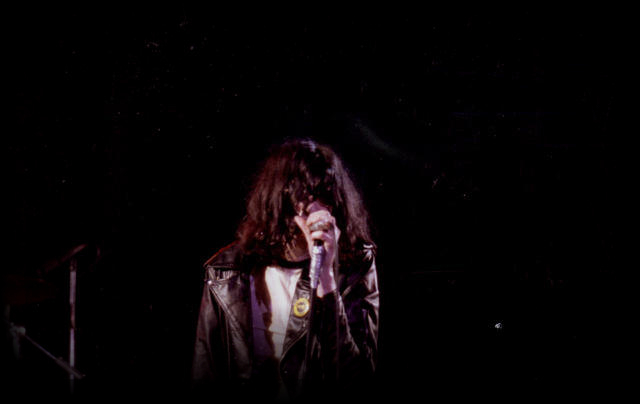 Known as much for their trademark leather jackets, torn jeans and dirty T-shirts as their unique sound and brilliant yet hilariously simple songs, The Ramones were an undeniable force. As pioneers of punk and Rock ’n’ Roll Hall of Famers, at the peak of their 2,263 live-show career they were arguably the greatest band on the planet. Yet for all their influence and infamy, the band never had a breakthrough hit, were hardly embraced by radio or MTV and failed to be accepted by mainstream audiences until years after their retirement. While their road-dog mentality and fierce live shows garnered them a legion of faithful fans, the band paid a heavy price, both physically and emotionally. Monte A. Melnick saw it all: the arrests, the ODs, the fights, the breakups, the make-ups, the girlfriends, the hotels and the binges. 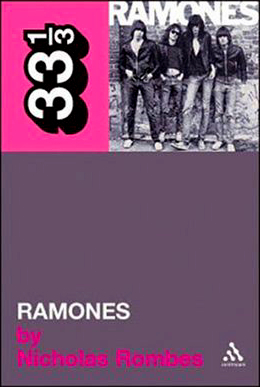 As the band's tour manger from their CBGB debut on 16 August 1974 to their final show in Los Angeles on 6 August 1996, Monte was indeed the fifth Ramone. On The Road With The Ramones is his story. About the author: Monte A. Melnick toured with The Ramones for 22 years as their Tour Manager and is now working as the Audio Visual Associate at the New York Hall of Science in Flushing Meadows-Corona Park, Queens, NY. Front cover art - John Holmstrom. 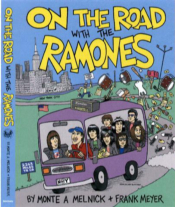 "On The Road With The Ramones" Book Signing! 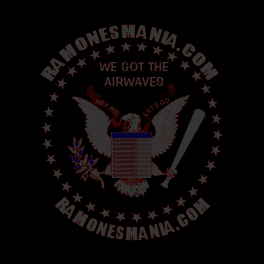 Monte A. Melnick (Author) , Frank Meyer, Tommy Ramone, CJ Ramone and John Holmstrom will be there!